The U.S. has always been on the dominant side of the insurtech market space. However, as per a new research report from Accenture, things are changing, and Europe is now emerging in the domain with transactions up by 385 percent (to 679 million dollars) and a volume up by 118 percent (a third of all insurtech transactions worldwide). Though the U.S. is the birthplace of insurtech, in the last four years, the market's focus has significantly shifted towards other parts of the globe, especially towards Europe. And European insurers are welcoming the change with open arms and responding to customer requirements. If we take the example of the year 2014, the U.S. market represented 80 percent of the insurance market in comparison to Europe's 12 percent representation. But things got drastically changed in 2017 when the numbers of the U.S. market share dropped to 36 percent while Europe represented 32 percent of global investments. One of the most evident reasons behind this alteration is the digitization which has now become an integral part of the insurance industry. Besides, with the changing customer’s behavior, who want everything on their fingertip, insurers cannot just rely on the legacy tools. So, the challenge for companies is to create new experiences for customers that can be “hyper-relevant” and also forecast the daily needs of consumers with tailored and straightforward solutions. To enhance flexibility, insurers are now moving towards advanced technologies like the cloud, automation and AI that enable them to deliver error-free process and data transfer among systems automatically. Insurance world leaders are also looking up for insurtech companies to upgrade their operations and to keep pace with the transformation in the landscape. Though the market is full of insurtech companies, finding the right one that fulfills the requirements that too innovatively and cost-effectively is an arduous task. This edition of Insurance CIO Outlook features companies with expertise in Insurtech solutions to update you about the insurance technology solutions you can choose from. 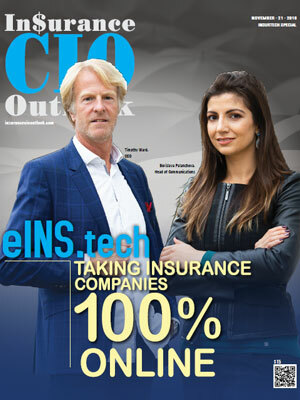 To help CTOs, CIOs, and CEOs find the right insurtech solution provider, a distinguished selection panel comprising CEOs, CIOs, VCs, and the Insurance CIO Outlook magazine’s editorial board has selected a list of the top insurtech startups that leverage innovative technologies and strategies. 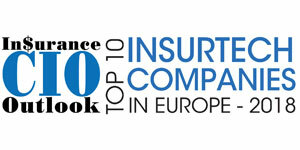 We present to you Insurance CIO Outlook’s Top 10 Insurtech Companies in Europe 2018.